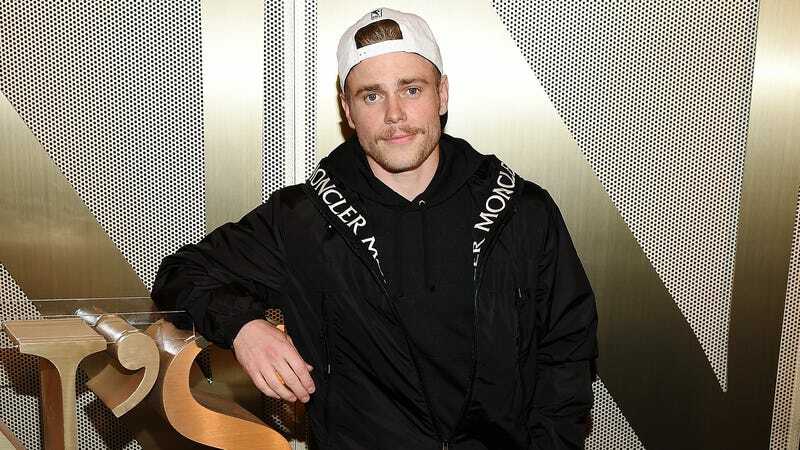 Back in February, Olympian skier Gus Kenworthy adopted a puppy named Beemo from a dog meat farm just outside of Seoul. Beemo went back to the States to live with Kenworthy and boyfriend Matt Wilkas, but her heart was literally too big, and she died last week. I am devastated. Kenworthy announced Beemo’s death in an Instagram post on Sunday, according to People. “Two days ago my beautiful baby Beemo passed away. It was completely unexpected and Matt and I are beside ourselves trying to cope with her loss,” Kenworthy wrote, going on to describe Beemo’s recent disinterest in food, subsequent vet trips, and the discovery that a birth defect had rendered her heart too large for her tiny puppy body, crushing her lungs and ultimately killing her. Here’s the whole post, which you can read but I cannot, as my eyes are so blurred by tears I fear I may never see out of them again. So, briefly, Beemo was saved, and now Beemo is gone (Kenworthy’s two rescue dogs from Sochi, Jake and Mishka, are thankfully doing fine.) RIP, sweet doggy, may pet heaven be full of squeaky bones to chew and humans who never tire of playing catch.